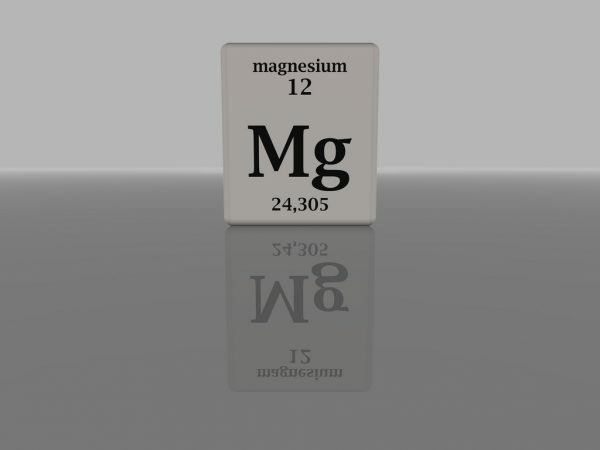 What is Magnesium and what does it do? Some call magnesium the “mineral of movement” – which is appropriate as HCB2 talks a lot about bowel movements throughout our work! Magnesium in appropriate amounts can certainly help to get you regular, but did you know that it is a very important nutrient that serves at least 300 functions throughout the body? What’s cancer got to do with it? How can I consume more magnesium? Great question! Well, eating more nutrient-dense, real food is a start! Raw avocado, sprouted pumpkin seeds, salmon, probiotic-rich yogurt (watch the sugar) and gently cooked spinach are just some of the foods that contain magnesium.1 You may need to consider a supplement (but remember that not all are created equal) and/or possibly apply magnesium (in the form of magnesium chloride oil or flakes) topically through skin. Bathing is a stress relieving way to bring magnesium into the body. Magnesium sulfate (also called Epsom salts) can be tossed into a warm tub or sprinkled into a foot soak. Of course, there are some side effects of taking too much magnesium, especially all at once. HCB2 wants you to be able to go to the bathroom more regularly, but not like this! For those with health challenges, too much magnesium or perhaps the certain forms of magnesium, may also present some challenges. So, as always, we encourage you to do the research yourself and seek expertise on how this and other dietary interventions may help you. 1. National Institute of Health, Office of Dietary Supplements. (2018). Magnesium: Fact Sheet for Health Professionals. Retrieved July 13, 2018 from https://ods.od.nih.gov/factsheets/Magnesium-HealthProfessional/. 2. Oregon State University. Magnesium. Retrieved July 13, 2018 from https://lpi.oregonstate.edu/mic/minerals/magnesium. 3. Larsson SC, Leif B, and Wolk A. (2005). Magnesium Intake in Relation to Risk of Colorectal Cancer in Women. JAMA, 293(1). doi:10.1001/jama.293.1.86. 4. Larsson SC and Wolk A. (2005). Magnesium Intake, Drinking Water, and Risk of Colorectal Cancer—Reply. JAMA, 293(21). doi:10.1001/jama.293.21.2599-b. 5. Ko HJ, Youn CH, Kim HM, Cho YJ, et al. (2014). Dietary magnesium intake and risk of cancer: a meta-analysis of epidemiologic studies. Nutrition and Cancer, 66(6). doi: 10.1080/01635581.2014.922203. 6. Chen GC, Pang Z and Liu QF. (2012). Magnesium intake and risk of colorectal cancer: a meta-analysis of prospective studies. European Journal of Clinical Nutrition, 66(11). doi: 10.1038/ejcn.2012.135. 7. Gorczyca AM, He K, Xun P, Margolis KL et al. (2015). Association between magnesium intake and risk of colorectal cancer among postmenopausal women. Cancer Causes and Control, 26(12). doi: 10.1007/s10552-015-0669-2. 8. Dibaba D, Xun P, Yokota K, White E et al. (2015). Magnesium intake and incidence of pancreatic cancer: the VITamins and Lifestyle study. British Journal of Cancer, 113(11). doi: 10.1038/bjc.2015.382. 9. Bo LY, Li TJ, and Zhao XH. (2018). Copper or Magnesium Supplementation Endows the Peptic Hydrolysate from Bovine Lactoferrin with Enhanced Activity to Human Gastric Cancer AGS Cells. Biological Trace Element Research. doi: 10.1007/s12011-018-1468-x. Last year, HCB2 partnered with Dr. Marlisa Hurt to create an anti-inflammatory grocery list. As many of you know, we offer free Healing Belly Baskets (make your request here) to cancer patients and survivors, but we realized that people were looking for more information and support beyond this service. The HCB2 grocery list focuses on consuming quality fats, clean proteins, veggies, and low-glycemic fresh fruits. We also highlight the importance of hydration and identify foods which support our gut microbiome – the “good guy” bacteria that plays a role in digestion and helps to synthesize nutrients. The anti-inflammatory grocery list encourages folks to limit or avoid certain foods and food-like substances that have been linked to less than optimal health outcomes. This includes the avoidance of added and excess sugars in the diet, as well as avoiding all forms of artificial sugars. For instance, if you prefer to add something sweet to your food or drink, we recommend liquid stevia or luo han guo (also known as monk fruit). You might notice that grains and legumes are missing from the HCB2 grocery list. Too often, many people are consuming large amounts of these over processed foods. Most grains are highly glycemic and very difficult to digest especially in individuals where their gut health may be compromised. Caffeine and alcohol are also off the list. It’s good to know that these chemicals are not necessary for proper bodily function though many of us may feel the need for that coffee jolt in the morning. 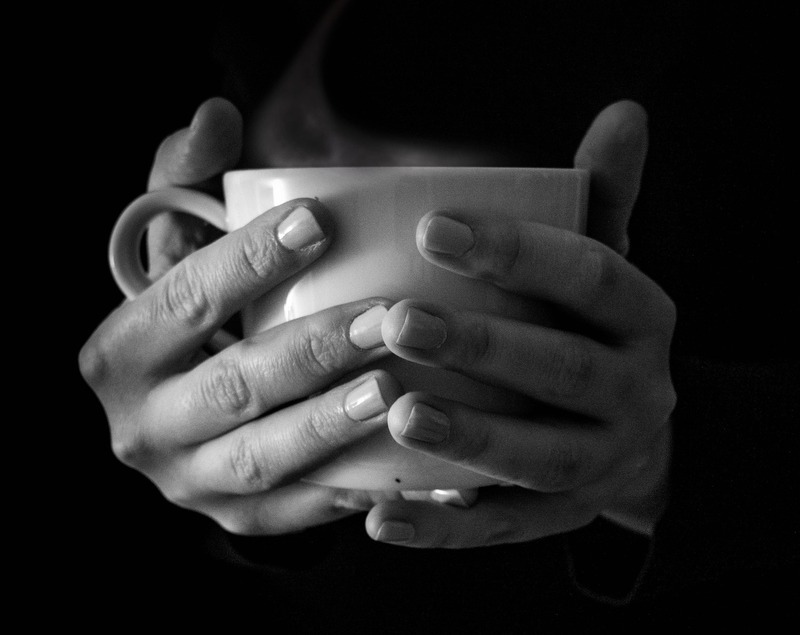 For those dealing with health issues, caffeine and alcohol can contribute to the burden placed on the body each day especially if our nutritional needs are not being met. HCB2 loves quality fat! Previously, we wrote about the importance of fat. Saturated fats are an important nutrient to our cell structure, and fats have been shown in the research to support cardiovascular health, good (HDL) cholesterol, and weight management. Additionally, quality fats have be shown to be protective against cancer and some of the side effects of cancer treatment. At first glance, the HCB2 anti-inflammatory grocery list may seem a bit restrictive. With the help of Dr. Hurt and current research, we selected those nutrients which help to create a bodily environment where cancer is challenged to survive. It’s time to get creative because there are so many foods one can incorporate into each meal. Remove the stress about daily food choices by opening your mind to new ideas. For example, crack an egg into a pan of coconut oil, add some organic spinach, and unrefined sea salt (not table salt) to taste. Remove from pan and plate along side 1/2 avocado. The fat and protein will stay with you for hours so you will not be crashing prior to lunch, plus your brain, muscles, and cells will love it! To sum up with some easy to remember tips! Fight Right with real food. Enjoy all the colors of the rainbow represented in a wide array of vegetables. Quality fats are not your enemy, and a hydrated body can prevent many problems. We hope you check out the HCB2 anti-inflammatory grocery list and select a few new items to place in your cart next time you visit the grocery store! Our Healing Belly Baskets for cancer patients and survivors includes nutrient dense foods that may help to reduce inflammation in the body. These baskets include bone broth, which is full of proteins and minerals that support gut health and overall body function. We all require certain nutrients to thrive and cancer patients and survivors are no exception to this rule! An estimated 1/3 of cancer deaths are caused by cachexia or muscle and tissue wasting (NCI). Easy to digest proteins, like those in bone broth, may help to shut down this wasting in cancer patients! Bone broth is made from the bones of animals (e.g. cows, chickens, fish) and is typically cooked over low heat for several hours to extract the nutrients from the bones. It can be bought online, in local stores and some restaurants, but it is also relatively inexpensive and easy to make at home. There are many free recipes available online and broth can be flavored in many ways to accommodate personal preferences. One easy way to make bone broth is to take a whole chicken, seasoned with unrefined sea salt, and cook it in a crockpot for a few hours on high. When finished, debone the chicken and save the meat for lunch, dinner or other uses! Add the bones back to the liquid in the crockpot, cover bones with water, and add a couple of tablespoons of raw apple cider vinegar (helps to pull the minerals and other nutrients from the bones). Let it simmer on low for about 24 hours. Once cooled, remove bones, strain the broth, go ahead and sip on it, or add to storage containers for later use. We personally like to make small glass mason jars to store our bone broth in the freezer, so we can take out and drink or add to food when needed. You can also add broth to ice cube trays, freeze, pop out and store in containers in the freezer for later use as well! Some folks also like to use their Instant Pots (pressure cookers) to make bone broth in a shorter amount of time. Check out the recipe below to help get you started: http://ohlardy.com/chicken-bone-broth/. Want more options for nutrient dense, anti-inflammatory foods? We developed our Fight Right Anti-Inflammatory grocery list for cancer patients, survivors and the general community. Download it here. Coconut Oil: What’s Up with Fat? In June, we shared some thoughts and additional studies on the coconut oil and saturated fat controversy that recently took the Internet by storm. 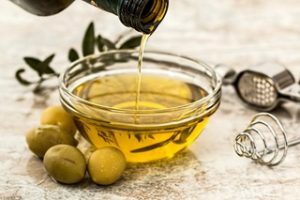 Several experts in the field have also taken the time to share their perspectives on the risks associated with substituting saturated fats like coconut oil for polyunsaturated fatty acids (PUFAs) in our diets, particularly omega-6 PUFAs in highly refined “vegetable oils” such as canola and soy oil, etc. (see Hyman, Davis, and Perlmutter). These experts and others have also identified issues with the methodology underlying the guidelines created by the American Heart Association (AHA) to consume less saturated fat (see also Bastian and Bastian). Focus on consuming more real, whole, and anti-inflammatory foods, which may naturally contain a spectrum of fatty acids, including saturated, PUFA (with particular emphasis on omega-3 fatty acids) and MUFA fats. 5) In regard to intake of unsaturated fats (PUFAs) overall, we encourage that people consume them from wild caught fish, raw whole avocado, and raw and sprouted nuts and seeds instead of “vegetable” oils. We also advocate for the consumption of monounsaturated fats (MUFAs) from olives and unheated virgin olive oil as well as avocados and some raw and sprouted nuts. Please see our Fight Right Anti-Inflammatory Grocery List for more information and suggestions. University of Maryland Medical Center (UMM). (2015). Omega-6 fatty acids. Retrieved June 23, 2017 from http://www.umm.edu/health/medical/altmed/supplement/omega6-fatty-acids. Sacks F., Lichtenstein A., Wu J., Appel L. et al. (2017). Dietary fats and cardiovascular disease: a presidential advisory from the American Heart Association. Circulation, 135(25). http://circ.ahajournals.org/content/early/2017/06/15/CIR.0000000000000510. FDA. (2015). Final Determination Regarding Partially Hydrogenated Oils (Removing TransFat). Retrieved June 23, 2017 from https://www.fda.gov/food/ingredientspackaginglabeling/foodadditivesingredients/ucm449162.htm. Hyman, Mark MD. 2016. Is Coconut Oil Bad for Your Cholesterol? Retrieved June 23, 2017 from http://drhyman.com/blog/2016/04/06/is-coconut-oil-bad-for-your-cholesterol/. Halvorsen B. & Blomhoff R. (2011). Determination of lipid oxidation products in vegetable oils and marine omega-3 supplements. Food Nutr Res, 55. https://www.ncbi.nlm.nih.gov/pmc/articles/PMC3118035/. Choe E. & Min D. (2016). Mechanisms and Factors for Edible Oil Oxidation. Comprehensive Reviews in Food Science and Food Safety, 5: 169–186. http://onlinelibrary.wiley.com/doi/10.1111/j.1541-4337.2006.00009.x/abstract. Patterson E., Wall R., Fitzgerald GF, Ross RP et al. (2012). Health Implications of High Dietary Omega-6 Polyunsaturated Fatty Acids. J Nut Metab https://www.ncbi.nlm.nih.gov/pmc/articles/PMC3335257/#!po=30.1724. Cardoso DA, Moreira A, deOliveira GMM, Luiz RR et al. (2015). 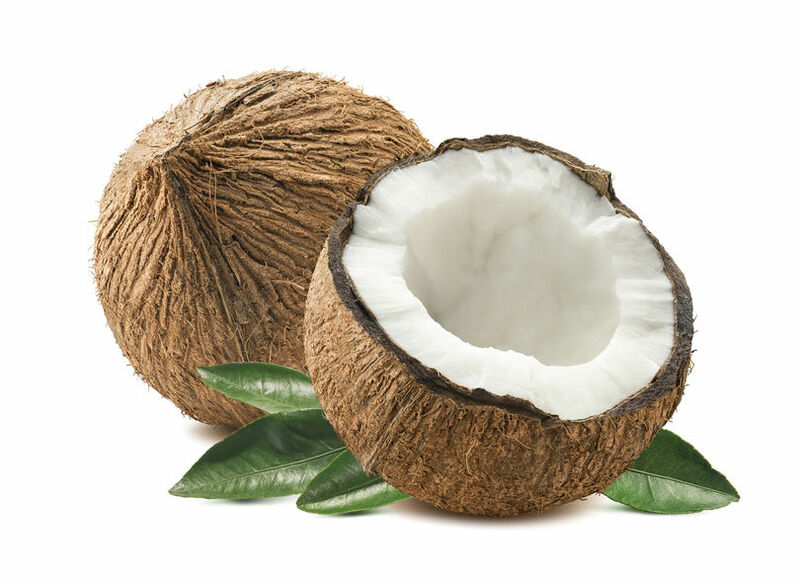 A coconut extra virgin oil-rich diet increases HDL cholesterol and decreases waist circumference and body mass in coronary artery disease patients Nutrición Hospitalaria, 32(5): 2144-2152. https://www.ncbi.nlm.nih.gov/pubmed/26545671. Lekshmi D, Nazeem P, Narayanankutty A, Manalil J et al. (2016). In Silico and Wet Lab Studies Reveal the Cholesterol Lowering Efficacy of Lauric Acid a Medium Chain Fat of Coconut Oil. Plant Foods for Human Nutrition, 71(4): 410-415. https://www.ncbi.nlm.nih.gov/pubmed/27679437. de Souza R, Mente A, Maroleanu A, Cozma A et al. (2015). Intake of saturated and trans unsaturated fatty acids and risk of all cause mortality, cardiovascular disease, and type 2 diabetes: systematic review and meta-analysis of observational studies. BMJ. http://www.bmj.com/content/351/bmj.h3978. Siri-Tarino P, Sun Q, Hu F & Krauss, R (2010). Meta-analysis of prospective cohort studies evaluating the association of saturated fat with cardiovascular disease. American Journal of Clinical Nutrition, 91: 535-46. https://www.ncbi.nlm.nih.gov/pubmed/20071648. DiNicolantonio, J (2014). The cardiometabolic consequences of replacing saturated fats with carbohydrates or [omega]-6 polyunsaturated fats. Do the dietary guidelines have it wrong? Open Heart, 1(1). http://openheart.bmj.com/content/1/1/e000032. Lawrence, G. (2013). Dietary Fats and Health: Dietary Recommendations in the Context of Scientific Evidence. Advances in Nutrition, 4: 294-302. http://advances.nutrition.org/content/4/3/294.full. Law K, Azman N, Omar E, Musa M et al. (2014). The effects of virgin coconut oil (VCO) as supplementation on quality of life (QOL) among breast cancer patients. Lipids in Health and Disease, 13:139. https://www.ncbi.nlm.nih.gov/pubmed/25163649. Enos RT, Velázquez KT, McClellan JL, Cranford TL et al. (2016). High-fat diets rich in saturated fat protect against azoxymethane/dextran sulfate sodium-induced colon cancer. American Journal of Physiology – Gastrointestinal and Liver Physiology, 310(11). https://www.ncbi.nlm.nih.gov/pubmed/27033117. Mizoshita T, Tsukamoto T, Inada KI, Hirano N et al. (2007). Loss of MUC2 expression correlates with progression along the adenoma-carcinoma sequence pathway as well as de novo carcinogenesis in the colon. Histology and Histopathology, 22(3):251-60. https://www.ncbi.nlm.nih.gov/pubmed/17163399. Elzagheid A, Emaetig F, Buhmeida A, Laato M et al. (2013). Loss of MUC2 expression predicts disease recurrence and poor outcome in colorectal carcinoma. Tumor Biology, 34(2): 621-8. https://www.ncbi.nlm.nih.gov/pubmed/23179399. Murff HJ, Shu XO, Li H, Dai Q et al. (2009). A prospective study of dietary polyunsaturated fatty acids and colorectal cancer risk in Chinese women. Cancer Epidemiol Biomarkers Prev, 18(8). https://www.ncbi.nlm.nih.gov/pubmed/19661088. Murff HJ, Shu XO, Li H, Yang G et al. (2011). Dietary polyunsaturated fatty acids and breast cancer risk in Chinese women: a prospective cohort study. Int J Cancer, 128(6): 1434-41. https://www.ncbi.nlm.nih.gov/pubmed/20878979. Reddy, BS. (2002). 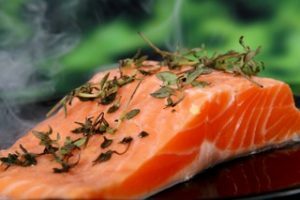 Types and amount of dietary fat and colon cancer risk: Prevention by omega-3 fatty acid-rich diets. Environ Health Prev Med, 7(3): 95-102. https://www.ncbi.nlm.nih.gov/pmc/articles/PMC2723490/. Schwingshackl, L & Hoffmann, G. (2014). Dietary fatty acids in the secondary prevention of coronary heart disease: a systematic review, meta-analysis and meta-regression. BMJ Open, 4(4). http://bmjopen.bmj.com/content/4/4/e004487.long. Hamley, S. (2017). The effect of replacing saturated fat with mostly n-6 polyunsaturated fat on coronary heart disease: a meta-analysis of randomised controlled trials. Nutrition Journal, 16(30). https://www.ncbi.nlm.nih.gov/pmc/articles/PMC5437600/. DiNicolantonio, JJ, Lucan, SC and O’Keefe, JH. (2016). The Evidence for Saturated Fat and for Sugar Related to Coronary Heart Disease Prog Cardiovasc Disease, 58(5). https://www.ncbi.nlm.nih.gov/pmc/articles/PMC4856550/. Volk, BM, Kunces LJ, Freidenreich, DJ, Kupchak BR et al. (2014). Effects of Step-Wise Increases in Dietary Carbohydrate on Circulating Saturated Fatty Acids and Palmitoleic Acid in Adults with Metabolic Syndrome. PLoS One, 9(11). https://www.ncbi.nlm.nih.gov/pmc/articles/PMC4240601/. DiNicolantonio JJ, Harcombe Z, and O’Keefe JH. (2016). Problems with the 2015 Dietary Guidelines for Americans: An Alternative. Missouri Medicine, 113(2). https://www.researchgate.net/publication/302873650_Problems_with_the_2015_Dietary_Guidelines_for_Americans_An_Alternative. Simopoulos, AP. (2008). The importance of the omega-6/omega-3 fatty acid ratio in cardiovascular disease and other chronic diseases. Exp Biol Med, 233(6). https://www.ncbi.nlm.nih.gov/pubmed/18408140. Simopoulos, AP. (2016). An Increase in the Omega-6/Omega-3 Fatty Acid Ratio Increases the Risk for Obesity. Nutrients, 8(3). https://www.ncbi.nlm.nih.gov/pmc/articles/PMC4808858/.